UK: MP Pat Glass: Tories ‘deliberately mock women MPs for their northern accents’. Tories ‘deliberately mock women MPs for their northern accents’ says Pat Glass The Independent A Labour MP has accused Tories of deliberately mocking northern female politicians because of their accents during Commons debates. Pat Glass, who represents Durham North West, said it was not just older Tories who were guilty of barracking Labour women, and blamed the macho Westminster culture. 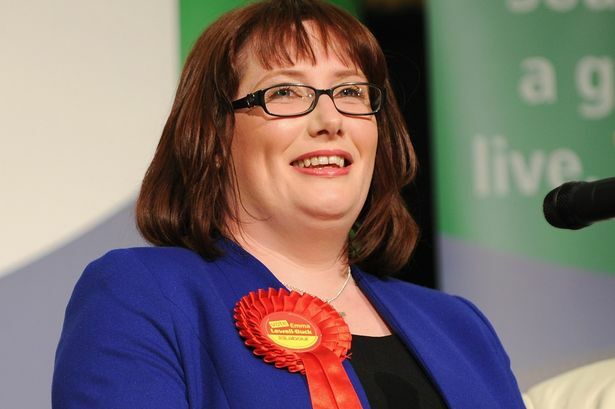 In an interview with the Sunday Sun newspaper, she said new South Shields MP Emma Lewell-Buck was also singled out “because of her Sarah Millican-style accent”. Mrs Glass told the Press Association: “The hardest thing I found going into Parliament was the culture. Female northern MPs ‘bullied by macho Tories who mock their accents in House of Commons’ Mirror.co.uk Sexist Tories are targeting female Labour MPs because of their northern accents, it was claimed today. Women in Parliament face ‘macho’ and ‘aggressive’ comments on a daily basis from backbench Conservative MPs. Emma Lewell-Buck, 35, who only entered the House of Commons last year, is said to face ridicule for her strong Geordie accent. Durham MP Pat Glass raised the issue when she was barracked by MPs during a debate on water bills. Woman claims Angus bowling club is in gender equality ‘parallel universe’ The Courier Kirriemuir woman Margaret Pollock is “fighting an uphill battle” to reform her local bowls club, even after recent changes to equality laws forced female members on to an equal footing with their male peers. At 66, Mrs Pollock is one of Kirriemuir Bowling Club’s youngest members and believes she represents a generation of women who will not “make do with serving sandwiches for a half-price ticket”, or take to the greens at tightly-controlled times. The Equality Act 2010 prohibits the segregation of memberships and fee structures along gender lines. Previous postUS: Clinton launches data drive on women’s empowerment. Canada Income Splitting: So Divisive It’s Splitting the Tories. Next postTonga launches mock parliament to boost women’s rep. Can the World’s Women Save Syria? A woman’s world in post-revolution Libya?